A brand that needs no introduction, NARS is a definitive cult classic, remaining at the forefront of the beauty world and quickly gaining a permanent place in the hearts (and make up bags!) of all who try it. A standout star of the brand’s coveted complexion products, this foundation grants a translucent veil of colour and advanced sun protection. Infused with natural botanicals and hydrating extracts, it grants a bright, natural-looking glow. Think: your skin – almost bare – but better. 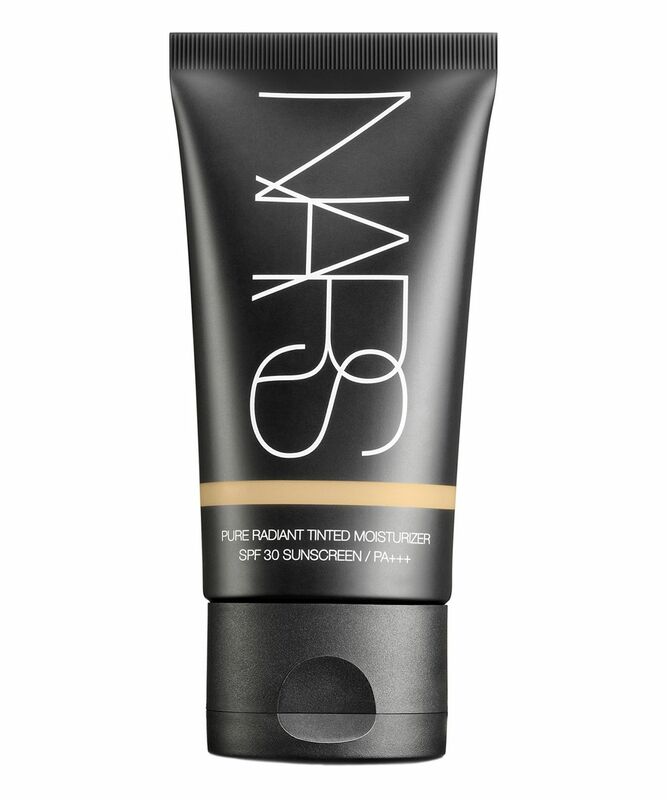 Ask any beauty buff to name their most coveted complexion products and, chances are, NARS will be high up on the list – especially when it comes to Pure Radiant Tinted Moisturizer SPF 30/PA+++. The advanced, oil-free formula provides a translucent veil of colour and gives a radiant, luminous finish in a spectrum of 12 versatile shades. Offering advanced sun protection, it shields your skin from the sun’s harmful rays, while also reducing the appearance of hyperpigmentation and dark spots in as little as four weeks. Infused with lush, naturally derived botanicals, it helps skin to feel hydrated and encourages a bright, natural-looking glow; kopara from French Polynesia and mineral-rich sea water revive and ‘remineralise’ skin for a softer, smoother finish. It’s dermatologically tested, non-comodogenic and synthetic fragrance-free – perfect! For subtle coverage, use the tinted moisturizer in place of foundation. Blend it along cheekbones, then swipe a bit down the nose and along the top of the forehead. This will even tone while keeping things light and sheer. For an extra glow, blend a pea-size amount with equal amount of Copacabana Illuminator and smooth over entire face. 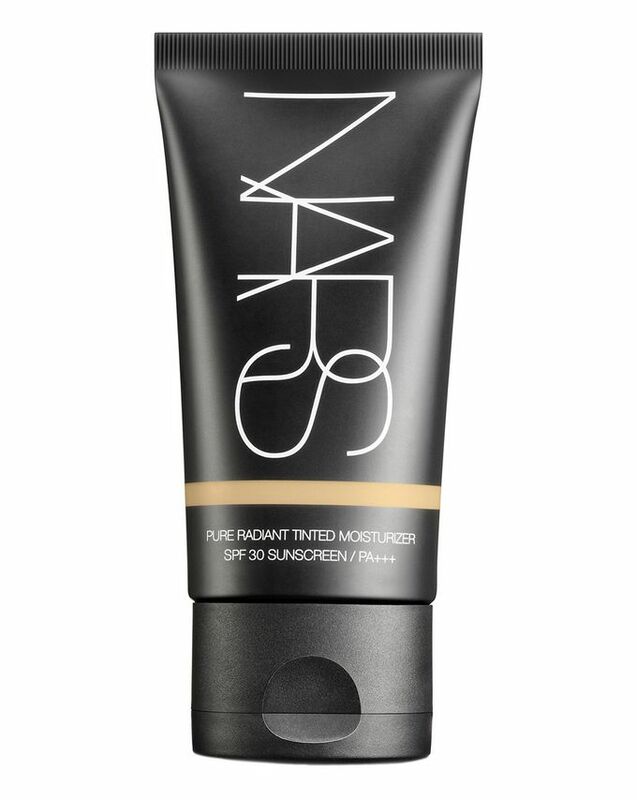 A perfect tinted moisturiser with SPF to use after your normal skincare routine. (doesn't substitute your daily moisturiser!). You need just small drops to cover all your face. It's light and easy to absorb. Fantastic! This is by no means heavy cover but it is slightly more than a tinted moisturiser. Being slightly older, some foundations can make me look older but this covers just enough to make me feel confident enough to face the world but not leave me with that awful full foundation feel. It doesn’t give me flawless skin, but it definitely makes me look like I have less flaws. Doesn’t noticeably sit in pores or wrinkles, it’s me but on a good day. I absolutely love this product. It evens out my skintone without looking cakey and it works nicely on my dry skin. I never really liked foundation because of its heaviness and I could never find a shade that suited my skin tone. I’m in the shade St Moritz and I absolutely love it. It looks so natural on my skin and feels light and helps my skin look more alive. Definitely recommend. I have Alaska, it's perfect! Love Nars shades, they don't look too pink or too yellow or grey. Really hydrating, natural looking, it feels light when applied, not sticky...highly recommend! I have dreadful skin. It rejects most moisturisers, let alone foundation. I either get patchy breakouts or my skin dries out completely and gets flaky. Since using this product, my face actually looks normal for the first time in about 20 years. Like the other reviews, the coverage isn't heavy and cakey, but it's enough to minimise flaws and make you look radiant. You can layer it. Doesn't cling to dry areas. It's make up without wearing make up. Colour match isn't bad either. No orange neck lines! Until they change the formula, I won't be buying anything else. Wow even better than the it cosmetics cc cream I'm in shade Alaska I bought this as i don’t really like foundation it’s perfect and gives an even coverage without being cakey, its a must in your make up bag and has Spf what more do u need!! I absolutely adore this product. It does not cling on to dry patches, it is literally invisible on the skin but it is very effective at creating a uniform tint. It is nice and hydrating, it pairs well with concealer and powders, and has a very light scent that lasts seconds. A truly great product for those seeking sheer coverage and a natural look. I never liked wearing foundation because I don't like the heaviness...I indulged in Armani luminous silk a while back and though I loved the finish it was still very much a foundation. I gave up after the Armani and just stuck to concealers....but I'm so glad I bought this. The finish is absolutely beautiful. I have Asian skin and I use shade st Moritz and it's perfect. I look so healthy and I have actually seen an improvement in my skin! I was singing from the rooftops when I found out Cult beauty started to stock one of my favourite brands. I have been a huge fan of Nars for a long time - probably because they were among one of the few brands that catered to people of colour. Obviously nowadays that’s changed and a lot more brands cater to all types of skin tones, but Nars will always remain no.1 for me. The colour range for the foundations are spot on and an exact match for me. Pure radiant tinted moisturiser is amazing, smoothing out imperfections without heavy coverage - giving a no make-up look. Love, love love it. As with the previous reviewer I usually wear sheer glow foundation, but wanted something lighter for the summer months. This is perfect and really hydrating. Thank you Cult Beauty for finally bringing this brand into your portfolio. All we need are the amazing eyeshadows and I’ll be made up (pun intended)!